The SunCooler (patented) is an invention of the FirmTec team. FirmTec is characterized by innovation and solid experience in the field of oleo-chemistry. Our staff think outside the box, so that they can achieve the most intelligent solution for you. Our systems are robust, reliable and deliver optimum ROI. FirmTec was founded in 2012 by a team of specialists with many years’ experience in designing, constructing and marketing technical systems. They have earned their spurs by developing systems for processing and converting vegetable oil. An example of how FirmTec distinguishes itself is by installing custom-made systems in containers that enable you to benefit from optimum flexibility and rapid operability. Systems in containers also retain their value better than fixed systems. FirmTec’s worldwide activities in renewable energies and agriculture made us discover that there is a large need for cheap and simple cooling. Especially in the more remote and poor areas, where there is an abundance of sun and consequently an abundance of decay. 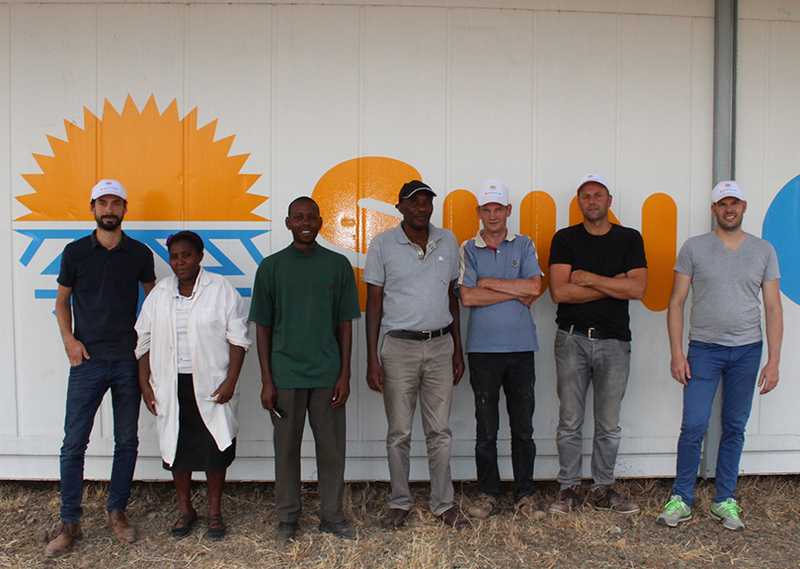 We recently installed the first SunCooler in Kenya, Africa and our team can’t wait to get the next SunCooler up and running. We are ready to assist you with advice and possibilities using a SunCooler at your facility! We aim to minimize food waste and meanwhile improve the food safety, food security and food availability, by globally supplying low-priced and sustainable cooling solutions on the spot. 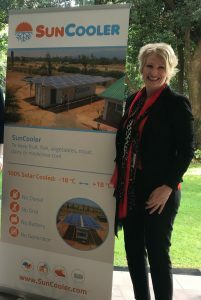 At SunCooler we only believe in win-win-win situations when doing business. A win for the client, a win for the company and a win for the environment must be the result of our energy. On September 25th 2015, countries adopted a set of goals to end poverty, protect the planet and ensure prosperity for all as part of a new sustainable development agenda. A UN initiative. 17 goals to transform our world. Each goal has specific targets to be achieved over the next 15 years. The SunCooler contributes directly to al large number of these goals. Until 2030 25% more food needs to be grown. In most cases it is not the availability of food that is the problem, however the problem lies in logistics and decay.